The nineteenth century witnessed the rise of national consciousness in many European peoples (the era of romantic nationalism). The Risorgimento began in Italy, and national consciousness also began to rise in the Balkans, initially in the form of the Pan-Slavism movement. 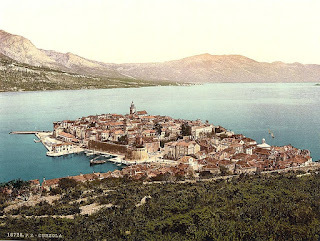 In the first half of the nineteenth century, the Illyrian movement, headed by the Croat Ljudevit Gaj, began to spread in Dalmatia. This movement intended to create a single culture and political consciousness among the Southern Slavs. Although it remained confined mostly to Croatian areas, members of the Serb community of Dalmatia also joined them. The Illyrian movement of the early 19th century transformed into the so-called “Croatian national movement” after 1848, which gave rise to the “Croatian popular resurgence” (hrvatski narodni preporod) in Dalmatia and clashes with the dominant Italian Dalmatian community. Up until that point in Dalmatia, both the Italians and Slavs had had lived without any problems or prejudice, but the birth of Pan-Slavism led to the first tensions between Italians, who were concentrated in the coastal cities (and formed a majority in most of the cities), and the Croats, who had become an overall majority in Dalmatia after the 16th century as a result of plagues which devastated the Romance population, and above all due to the Ottoman conquest of the Balkans which had sparked a mass migration of Slav refugees into Venetian territory. At the beginning of the 19th century Italians still formed about 33% (one-third) of the entire Dalmatian population. The introduction of the constitutional regime in 1860 led to profound changes in Dalmatia: the freedom of press and association favored the Croatian national movement which had hitherto been held back by the Viennese authorities (although they also were using it against Italian irredentist aspirations, in compliance with the policy of “divide and conquer”). The Austrian electoral laws favored universal suffrage (and therefore favored nationalities with larger numbers), which is why Italians lost political hegemony in Dalmatia between 1860 and 1885: only the city of Zara remained ruled by Italians until the First World War, guided by the Autonomist Party (Partito Autonomista). It was a process parallel to that of other Austrian provinces, such as Carniola and Bohemia, where the Slavs were able to conquer the institutions of provincial autonomy. In Dalmatia, however, this process was even more traumatic for the Italian community, since, unlike the Germans of Bohemia and Carniola, the Italians could not rely on political support from the central government in Vienna. The central government, which had frequently supported Croatian parties in Dalmatia, was ready to make concessions to the Slavs in Dalmatia which they never offered to the Slovenes in Carniola or the Czechs in Bohemia. Therefore middle schools, which depended on the central government (in contrast to elementary schools), were gradually Croatized. The same happened with primary schools in the municipalities governed by the Slavs. The Italian language thus lost its historical status, although it retained its prestige as a “cultural language” (so that even Frano Supilo, one of the leaders of the Croatian national movement, said “Despite being a Croat, I think in Italian”). The size of the Italian community in the coastal cities began to gradually decrease, with the exception of the aforementioned Zara. In 1909 the Italian language was prohibited in all public buildings and the Dalmatian Italians were ousted from the municipal administrations. 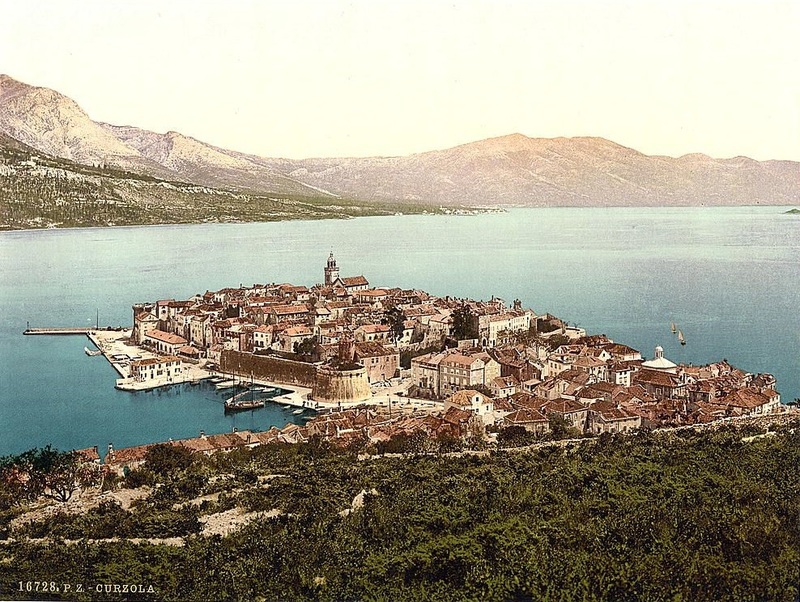 Consequently, by the end of the First World War (1914-1918) the Italian population was almost completely eliminated from Dalmatia, with the exception of some Dalmatian cities and islands.